Metal detecting is a really great way to start utilising your adventurous side! Whether you are looking for a new hobby, hoping to stumble across some hidden treasures, or simply want to do something a little different this weekend, metal detecting is definitely for you. Not only can it be an enjoyable task, but it can also be a highly strategic one too! 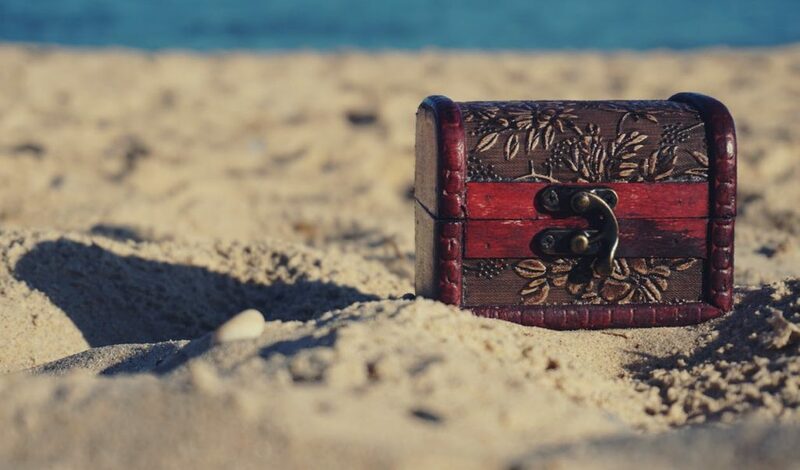 Take a look at some of the tips below and start uncovering your treasure chest today! Traveling abroad: If you are traveling overseas then consider heading to highly populated tourist destinations. You are a lot more likely to find rare hidden treasures at a popular beach abroad than at an abandoned one! Plus you can make use of a purple parking promo code when you get to the airport to save money on your airport parking! What do you want to find: Think about what it is that you want to find when choosing your location. Do you want to find large quantities of modern goods (necklaces, rings, coins), or would you like to find something a little more rare (old coins and buckles)? Research your destination of travel. If you are heading to a beach which was once the most popular place around, but it is now relatively deserted, then you are very likely to find something a little more rare! Weather conditions: Consider the ease with which the weather will allow you to explore your sandy abode. No one wants to be detecting in freezing conditions. Try to find places where warm and dry sand can be found. This will make your search a lot less difficult! Populated areas: If you really want to start finding some goods during your metal detecting sessions then make sure that you are hitting the popular sections of the beach! These are the places that people are most likely to have dropped or lost valuable belongings! The time: Not only do you need to consider where to look for treasure, but you also need to consider when to look for them too! Think about doing it towards the end of the day rather than at the beginning. This way there are likely to be more lost goods lying around! Activity areas: Take a look at the beach from afar. Which areas are populated and which ones aren’t? Are there activities happening in specific areas? If you spot an area of the beach that is commonly used for activities like volleyball, sunbathing or even entrance/exit points, then these are certainly worth going over! Bags: Making sure that you have a safe, secure and accessible bag for all of the goods that you may come across is imperative to having a successful journey! Spades: Make sure that you take a spade with you! Sometimes you may find that what you have detected is quite a way down. Make sure that you take a spade in case of these situations! You can find some great deals on all sorts of helpful equipment when you check out My Favourite Voucher Codes! Their selection of voucher codes for different retailers mean that you will never have to pay full price again! Pocket areas are the ritch spaces in which the current has gathered up lots of different objects in the water. These then get covered over with sand. When the tide goes out, you are left with treasure filled pockets! Keep your eyes peeled for any of these. They will certainly have some great little finds for you. There are a lot of things that you need to consider when you are heading out to do some metal detecting at the beach. The main thing is that you are patient, strategic and well prepared.Make sure that you pay good attention to your destination, think about where on the beach you are likely to find some goods and take the right equipment. With these tips in mind you should be well on your way to having an enjoyable and successful metal detecting experience!